Farming Simulator 17 has sold over one million copies since its release less than a month ago on PlayStation 4, Xbox One and PC - a record start for the franchise. Offering the best experience for players has always been at the forefront, and Giants Software has decided, with the approach of the holidays, to pursue efforts in this direction even further. Therefore, we are delighted to officially announce that the PS4 Pro update for Farming Simulator 17 is now available. This free upgrade allows all Farming Simulator 17 players on PS4 Pro to exploit the full power of their console, and enjoy enhanced performance and graphics for even greater immersion. At the launch of the game, players can choose to play at either Ultra HD (4K resolution), HD (1080p at 60fps) with an improved draw distance, or Quad HD (1440p at 60fps). The game also gains greater clarity, thanks to higher quality shadows displayed at an increased draw distance. This update also brings many other improvements, requested by the players, which they will benefit from whether they're playing on PS4 or PC - and soon on Xbox One. The good news doesn't end there! 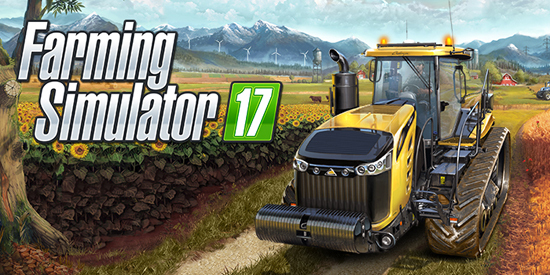 We are also pleased to announce that Farming Simulator 17 is now available for Mac players to download on Apple's MacApp Store. Finally, PlayStation 4 players that subscribe to PSN + will be able to download the Massey-Ferguson Black Duals vehicle for free. - Use and drive faithfully reproduced farming vehicles and tools, including AGCO's most respected brands: Challenger, Fendt, Valtra, and Massey Ferguson.